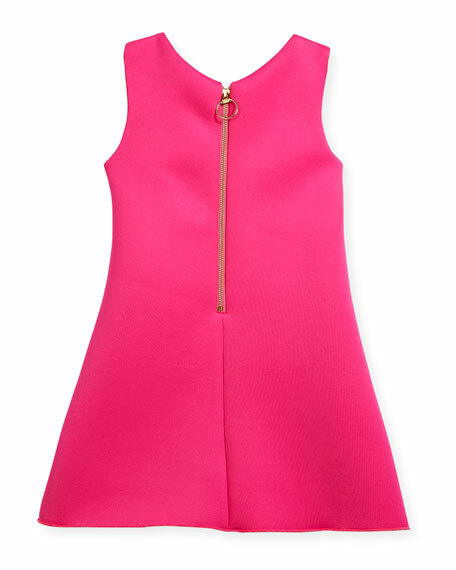 Zoe shift dress with contrast back. 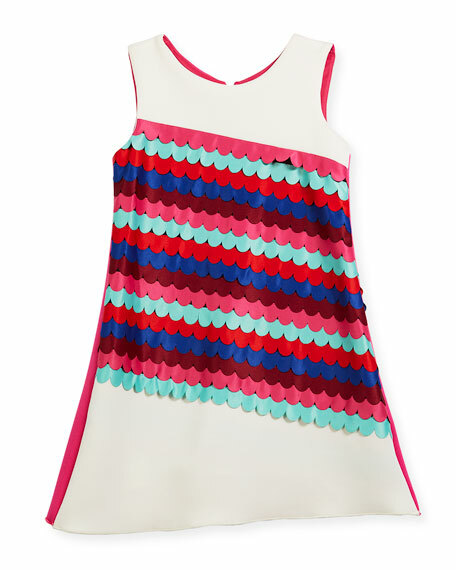 Asymmetrical multicolored tiered scallop front. Scallop trim and lining, polyester.